Allanite-(La): Mineral information, data and localities. Named in 2006 by Paolo Orlandi and Marco Pasero for its relationship to other allanite group minerals, with lanthanum as the dominant rare earth element. 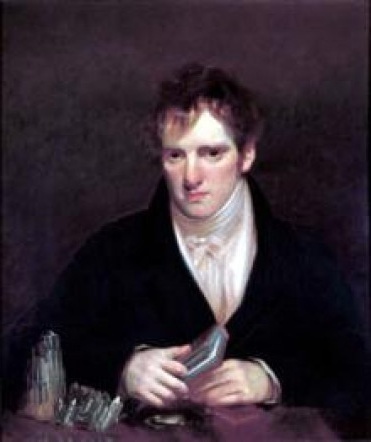 The root name is for Thomas Allan (1777, Edinburgh, Scotland - 1833, Morpeth, Northumberland, England), Scottish banker and mineralogist who first described what is now allanite-(Ce). Samples fitting the description of allanite-(La) were described earlier and the name was recommended by Levinson (1966) but a proper species description was not given until 2006. Allanite Group of the Epidote Supergroup. The La-analogue of Allanite-(Ce). The large well formed crystals of "allanite-(La)" from the Nueva Vizcaya Mine, Spain published by Del Tanago et al. (2002) as “macroscopic La-dominant allanite and REE-rich epidote crystals” are zoned crystals containing allanite with Ce>La,allanite with La>Ce, and REE-rich epidote. 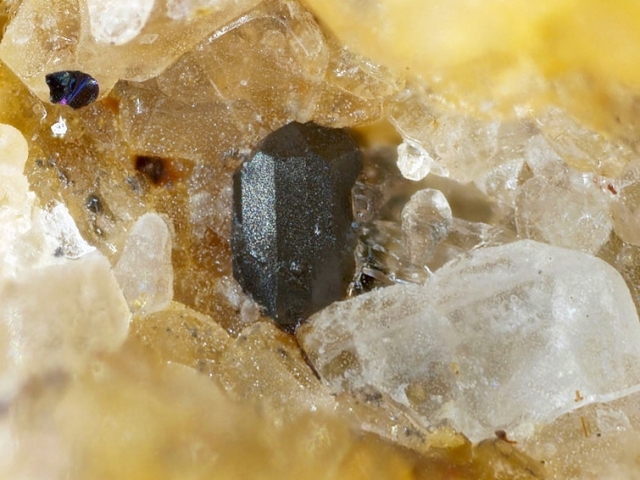 Only thin zones within the crystals contain sufficient REE to qualify as allanite-(La), and the La dominant material were too scarce to adequately describe allanite-(La) as a new mineral. Magnetite 5 photos of Allanite-(La) associated with Magnetite on mindat.org. Bastnäsite-(La) 4 photos of Allanite-(La) associated with Bastnäsite-(La) on mindat.org. Diopside 3 photos of Allanite-(La) associated with Diopside on mindat.org. Epidote 2 photos of Allanite-(La) associated with Epidote on mindat.org. Allanite-Epidote 2 photos of Allanite-(La) associated with Allanite-Epidote on mindat.org. Albite 2 photos of Allanite-(La) associated with Albite on mindat.org. Törnebohmite-(La) 1 photo of Allanite-(La) associated with Törnebohmite-(La) on mindat.org. 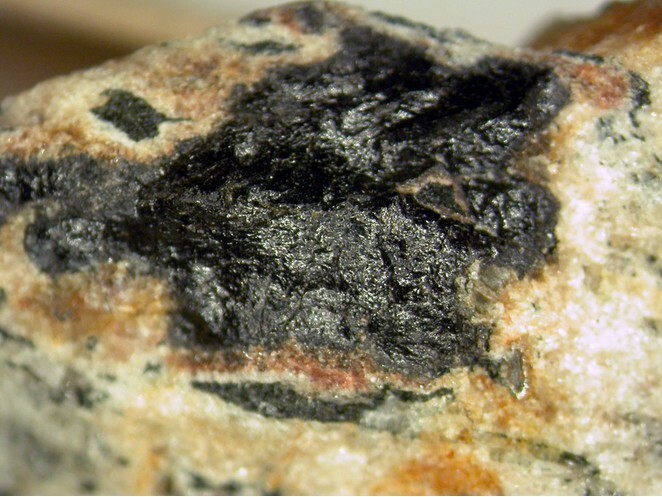 Aegirine 1 photo of Allanite-(La) associated with Aegirine on mindat.org. Britholite-(Ce) 1 photo of Allanite-(La) associated with Britholite-(Ce) on mindat.org. Marble, J.P. (1940) Allanite from Barringer Hill, Llano County, Texas. American Mineralogist: 25: 168-173. Hutton, C.O. (1951) Allanite from Yosemite National Park, Tuolumne Co., California. American Mineralogist: 36: 233-248. Hutton, C.O. (1951) Allanite from Wilmot Pass, Fiordland, New Zealand. American Journal of Science: 249: 208-214. Hasegawa, S. (1957) Chemical studies of allanites and their associated minerals from the pegmatites in the northern part of the Abukuma massif. Science Reports, Tohoku University, Series 3, Mineralogy, Petrology, and Economic Geology: 5: 345-371. Hasegawa, S. (1958) Chemical studies of allanites from the new localities in Fukushima and Kagawa prefectures. Science Reports, Tohoku University, Ser. 3, Mineralogy, Petrology, and Economic Geology: 6: 39-56. Hugo, P.J. (1961) The allanite deposits on Vreda Gordonia district, Cape Province. South Africa Geological Survey, "Geological Series" of the Department of Mines: 37: 1-65. Zhirov, K.K., Bandukin, G.A., Lavrentyev, Yu.G. (1961) Geochemistry of rare elements in pegmatites of North Karelia. Geokimiya: 11: 1107-1118. Levinson, A.A. (1966) A system of nomenclature of rare earth minerals. American Mineralogist: 51: 152-158. Pavelescu, L., Pavelescu, M. (1972) Study of some allanites and monazites from the south Carpathians. Tschermaks Mineralogische und Petrographische Mitteilungen: 17: 208-214. Fleischer, M. (1985) A summary of the variations in relative abundance of the lanthomides and yttrium in allanites and epidotes. Bulletin of Geological Society of Finland: 57: 151-155. Pan, Y., Fleet, M.E. (1990) Halogen-bearing allanite from the White River gold occurrence, Hemlo Area, Ontario. The Canadian Mineralogist: 28: 67-75. Pan, Y., Fleet, M.E. (1991) Vanadian allanite-(Ce) and vanadian allanite-(La) from the Hemlo gold deposit, Ontario, Canada. Mineralogical Magazine: 55: 497-507. Ercit, T.S. (2002) The mess that is “allanite”. The Canadian Mineralogist: 40: 1411-1419. Gonzáles del Tánago, J., Saínz de Baranda Graf, B. (2002) The Nueva Vizcaya mine, Burguillos del Cerro, Badajoz, Spain. Mineralogical Record: 33: 489-500. Orlandi, P., Pasero, M. (2006) Allanite-(La) from Buca della Vena mine, Apuan Alps, Italy, an epidote-group mineral. The Canadian Mineralogist 44(1): 63-68. Gonzáles del Tánago, J. (2015): personal correspondence. Orlandi, P. & Pasero, M. (2006): Allanite-(La) from Buca della Vena mine, Apuan Alps, Italy, an epidote-group mineral. Canadian Mineralogist, 44, 63-68. Tanaka, H. et al. (2010) Momoiite (Mn2+,Ca)3(V3+,Al)2Si3O12, a new manganese vanadium garnet from Japan. Journal of Mineralogical and Petrological Sciences 105, 92-96. Zenina, K. S. (2017). Inventory Information Analysis of Mineral Organization of the Khaldzan Buregteg massif (Western Mongolia). In Magmatism of the Earth and related strategic metal deposits (pp. 326-328). Orlandi, P., Pasero, M. (2006) Allanite-(La) from Buca Della Vena Mine, Apuan Alps, Italy, an epidote-group mineral. The Canadian Mineralogist, 44, 63-68. MITCHELL, R.H. & LIFEROVICH, R.P. (2004) Ecandrewsite - zincian pyrophanite from lujavrite. Pilansber alkaline complex, South Africa. Canadian Mineralogist), 42, 1169-1178.; Mitchell, R. H., & Liferovich, R. P. (2006). 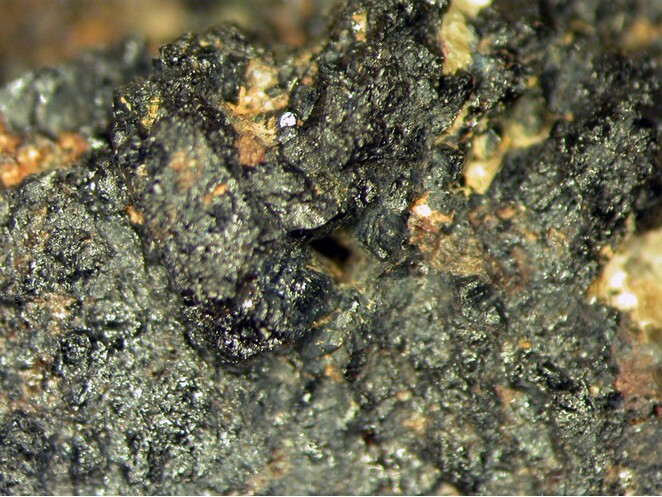 Subsolidus deuteric/hydrothermal alteration of eudialyte in lujavrite from the Pilansberg alkaline complex, South Africa. Lithos, 91(1), 352-372.
ⓘ Baringer Hill (Barringer Hill) ?